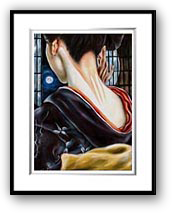 Browse through stunning Hiroko Sakai Fine Art Original Art Collection of more than 100 images - all of which can be purchased as framed prints, canvas prints, large posters, greeting cards, and more. Here you can find wonderful art gifts for your loved once - Wedding gifts, Birthday gifts, Christmas gifts, Valentine's Day prints and more. You will also find wall decorations for your home, living room, or bedroom. When you're ready, we'll deliver a museum-quality masterpiece right to your doorstep. 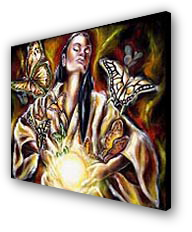 You can choose to print Hiroko's Artwork on paper or canvas, and can also choose to have the artwork framed, matted, and/or stretched on stretcher bars here. All museum quality prints are produced on Epson 9880 giclee printers using archival inks guaranteed to last up to 75 years. Framed Prints are perfect for the home or office. All prints are custom manufactured using archival inks and acid-free paper. 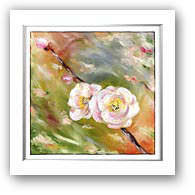 Framed prints are matted and framed in a stylish black frame with plexiglass cover. Frames include complete backing. 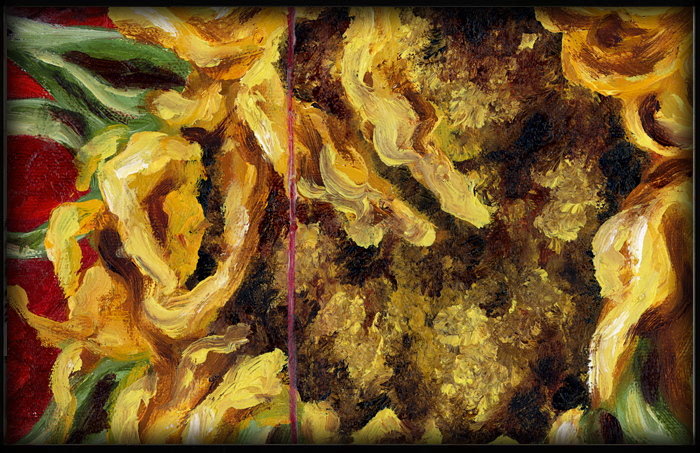 Frame size: 19" x 15"
High quality Art Prints which are each made by Hiroko's hands. 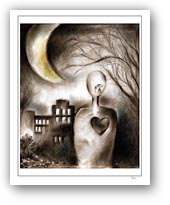 All prints come with its edition number and Artist hand writing signature in professional acid free white matting. 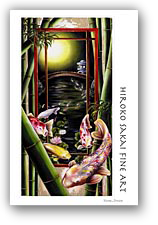 Most Hiroko's painting images are available for this Signed and Numbered Art prints.